MOVE #220: The $2 stock play! 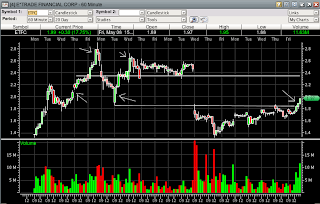 BOTD LOGIC: When a stock heads toward $2 and breaks through, it breaks through hard 10%+ ... $2.20+, hence move #220. Once a stock crosses $2, certain funds immediately pick it up, whether that causes the move, who knows, just know it's been working. Within the SCAN look for "multiple indicators of strength" ... unusual volume, bullish chart patterns, ideal entry pullbacks, the industry/sectors current popularity, or how about a company you've actually heard of ?! ... although in the recent rally you could've bought just about any stock under $2 and made 40%+ profits. p.s. This also works at 50cents, $1, $4, $10, $100, etc ... stocks break through that round number and continue higher. How about that $PWAV!?!!! ... same idea here, when PWAV broke $1 it shot up to $1.30+ *click for Chart.ly P~WAVE! p.p.s. Check out these 7 stocks priced .47-.50, hmmm. add RAD and BBI to watchlist. *BBI from RC @ iBC. thanks for the POT call reco BOTD! GBE the new $1 play. check out stemmers.... on the move from gern, ctic, and cbai momo! golden cross just happened, will move fast once it breaks that ascending triangle.